At The Edinburgh Clinic we aim to create a positive and enjoyable working environment for our staff. The Edinburgh Clinic is a member of Aspen Healthcare, which owns seven other hospitals throughout England. Registered nurse required for Outpatient and Ophthalmic Department at The Edinburgh Clinic. Previous private healthcare and ophthalmic experience is desirable. Applications without the completed form will not be considered. Healthcare assistant required for Outpatient Department at The Edinburgh Clinic. Previous Healthcare Assitant experience required. Working towards SVQ Level 2-3 desirable but not essential. 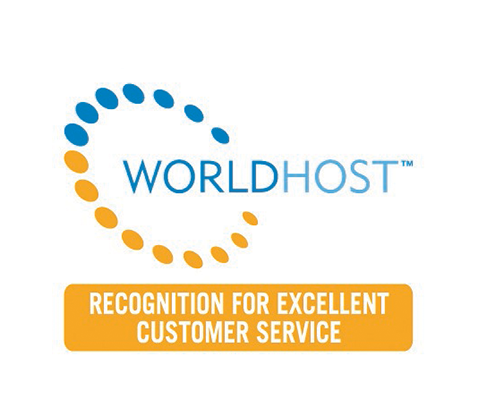 The Edinburgh Clinics’ commitment to deliver exceptional levels of Customer Service was recently presented with the WorldHost Recognition Award, following our completion of WorldHost Training. Our focus is on our patients and providing them with the best private heatlhcare experience possible. The role of a patient administrator is to positively present The Edinburgh Clinic to the public whilst supporting and enhancing the patient journey through the clinic. Ensuring patients complete necessary paperwork prior to their appointment. Liaising with all Consultants, GPs, Consultant staff, Referrers and other departments within the clinic. Dealing with enquiries and making appointments via telephone, e-mail, fax, and in person. Creating patient accounts: raising invoices; taking payment. To provide an efficient and courteous service for all patients, visitors and staff. To ensure that the telephone/switchboard is answered promptly and callers are transferred to the relevant department. To maintain records, including paper based and data systems and to enter data into systems as required. Ensuring all reports are forwarded to relevant referrers. All employees are expected to adhere to the Company’s dress code. A new opportunity to join our team at The Edinburgh Clinic is now open for application. The successful professional will be responsible for managing the Finance department whilst ensuring that robust financial controls exist within the business including the contribution to the Group function and providing line management for the on-site finance team. Full responsibility of accounts function within the clinic, ensuring that the following tasks and processes are completed accurately and in a timely manner. Maintain good working relationships with members of clinical and non-clinical staff, patients, consultants/ referrers, their secretaries and other internal and external contacts. To work in conjunction with all other staff within the department to ensure the highest standards of patient care are met at all times. An opportunity has arisen in the Marketing Department for the role of a Clinical Community Liaison Officer. The purpose of the Clinical Community Liaison Officer is to oversee, develop, implement the referrer-Clinic strategy with respect to referrals, education and communication. A full job description is available on request. Excellent communication (written/verbal) and IT skills are essential for this role. Private Healthcare experience desirable. Vacancies will be posted on this webpage, you can also click here to ‘Like us’ on Facebook to receive alerts when vacancies go live on our website. All career enquiries can be made to HR Administrator Shona Payne by email or telephoning 0131 447 2340.